Johns Hopkins University Press, 9780801890635, 300pp. Battling bad guys. High-tech hideouts. The gratitude of the masses. Who at some point in their life hasn't dreamed of being a superhero? Impossible, right? Or is it? Zehr discusses the physical training necessary to maintain bad-guy-fighting readiness while relating the science underlying this process, from strength conditioning to the cognitive changes a person would endure in undertaking such a regimen. In probing what a real-life Batman could achieve, Zehr considers the level of punishment a consummately fit and trained person could handle, how hard and fast such a person could punch and kick, and the number of adversaries that individual could dispatch. He also tells us what it would be like to fight while wearing a batsuit and the amount of food we'd need to consume each day to maintain vigilance as Gotham City's guardian. A fun foray of escapism grounded in sound science, Becoming Batman provides the background for attaining the realizable--though extreme--level of human performance that would allow you to be a superhero. E. Paul Zehr is a professor of neuroscience and kinesiology at the University of Victoria, British Columbia, where he is also a biomedical research scholar. He holds black belts in both empty hand and armed martial arts. 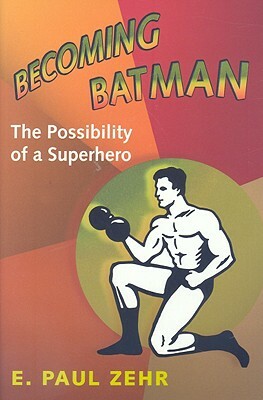 For more information about finding your inner superhero, visit www.becomingbatman.com.